Not too much changed during the off-season at the Olympiacos Piraeus camp. During the summer, only three new faces joined the Reds. Coach Giannis Sfairopoulos will have in Khem Birch a powerful weapon in the paint, who will be making his Turkish Airlines EuroLeague debut. On the other hand, Erick Green brings some EuroLeague experience with him at point guard, together with scoring power from the D-League. Finally, Olympiacos made an investment for the future with the addition of young big man Paris Maragkos, who arrives directly from college and should become a staple in the Reds' frontcourt in the coming years. Few backcourt lines are as versatile and effective as Olympiacos's. 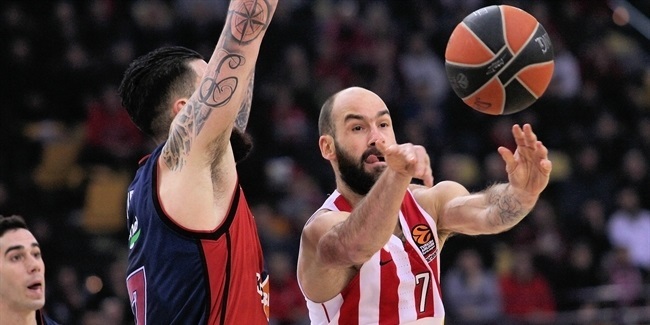 Of course, running the show is veteran legend Vassilis Spanoulis, who can play both point and shooting guard leading the team to the top goals, as his consistent rankings among the best passers of the league can attest to. He will be sharing duties with Vangelis Mantzaris, another staple in the starting five last season, while Green will provide variability and scoring. Completing the list in the backcourt are veterans Matt Lojeski and Daniel Hackett, two tried and true workers. The former will look to play completely recovered from an injury that caused him to miss most of last season, while the latter will chip in with quality minutes off the bench. Waiting on the sidelines will be Ioannis Athinaiou, who offered strong numbers in his debut season with Olympiacos, and could improve them with more playing time. Running the floor for the Reds will be Ioannis Papapetrou, looking to improve his ever-increasing contribution to the team. 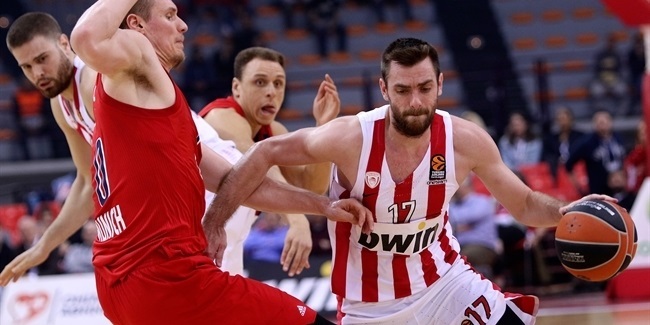 The main options for Olympiacos at power forward will undoubtedly be Georgios Printezis and Kostas Papanikolaou. Printezis is the epitome of spirit on the court, which benefits from his balanced powers on both ends of the floor and allowed him to be the team’s top scorer last season (14.1 ppg). Papanikolaou will be looking for his true self on court after coming back late last season for just a few games. If he clicks, he can become one of the most determinant players in the league again. In the heart of the battle, the Reds will rely on Birch, Patric Young and Nikola Milutinov. Young practically missed the whole season due to a torn ACL, and will surely become of the main options in the paint for the Reds as he looks to confirm what he could only hint at in five games last year. Birch arrives with competent credentials from the Turkish League, which should make him one of the main stoppers in defense for the team, as he shares time with Young. Young Milutinov will look to take a step forward as a player in his sophomore season with the Reds, as his main goal will be more minutes to get better numbers in offense and defense. 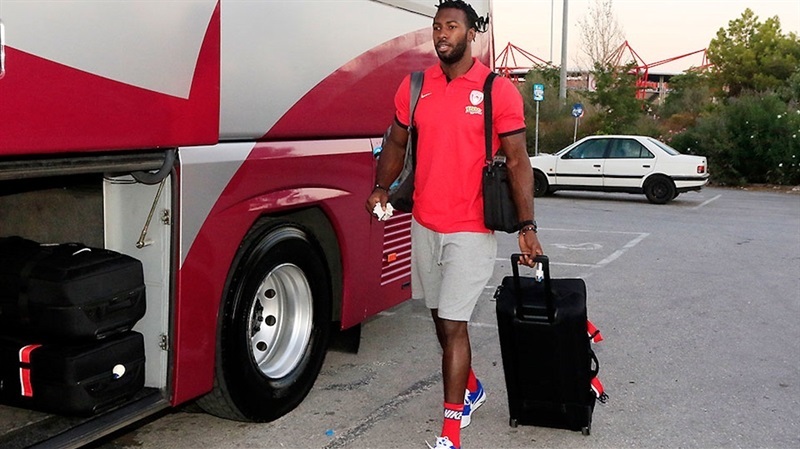 At age 24, big man Patric Young is probably more eager than anybody on the Olympiacos roster to demonstrate that he belongs at the top level. Fresh from college, he had a stellar season with Galatasaray in his EuroLeague debut and caught many eyes. When he joined the Reds, big expectations fell on his shoulders to become the new reference in the paint for the team. At the start of the season, Young was the team’s lead center and he responded with good numbers: 10.8 points, 5.0 rebounds, 1.2 steals and 2.6 blocks (which led the league at that point) plus aggressiveness on both ends of the court. However, only 4 minutes into the fifth game of the season against Anadolu Efes Istanbul, Young tore his ACL and missed the rest of the season. It has not been an easy or a short recovery for the big man, but he is finally back. Young has had a good preseason with Olympiacos and is surely awaiting the start of the new EuroLeague season, ready to give back for the trust put on him and to become one of the most reliable big men in the competition. 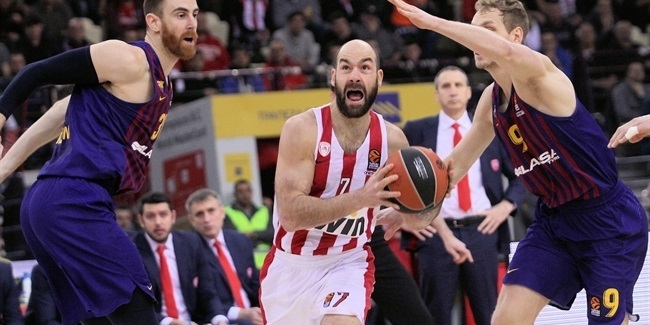 Olympiacos will start the season with a nice blend of tried-and-true veterans, a couple of returnees that should be important to the team and new faces that will have to adapt quickly. The bright side of the story is that most of the roster knows what it takes to stay strong at the EuroLeague level, but when looking at the new calendar, things do not look easy at all. The Reds will open the season with a rematch of the classic game that inaugurated the competition in October of 2000 against Real Madrid in Spain. Despite the celebration, the season opener is as tough as they come, and from there, it doesn't get any easier with visits to Piraeus by Anadolu Efes and EA7 Emporio Armani Milan. Six of the last 10 games will be on the road for Olympiacos, including a last trip to the home of the defending champs, CSKA Moscow, so the Reds will need to do their homework fast and well if they want to stay in the mix come crunch time.